Have leftover banana's? 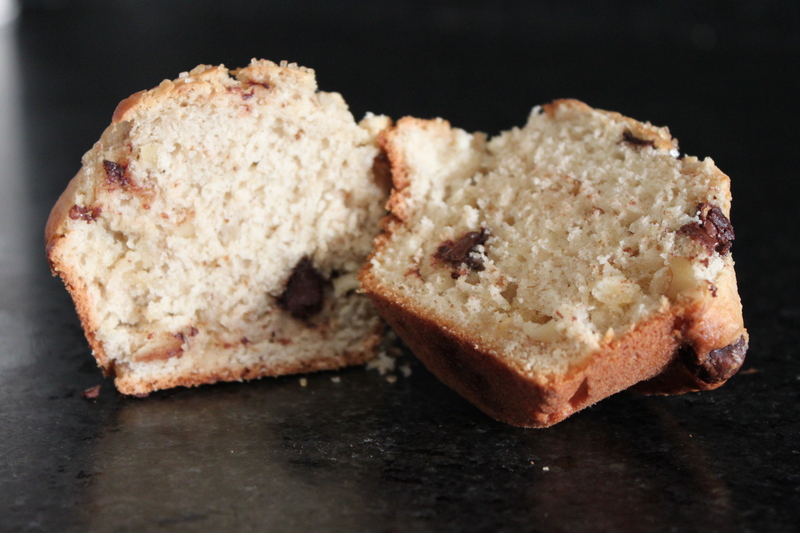 Tired of a standard banana bread? This predicament made me switch it up and re-imagine a classic recipe! 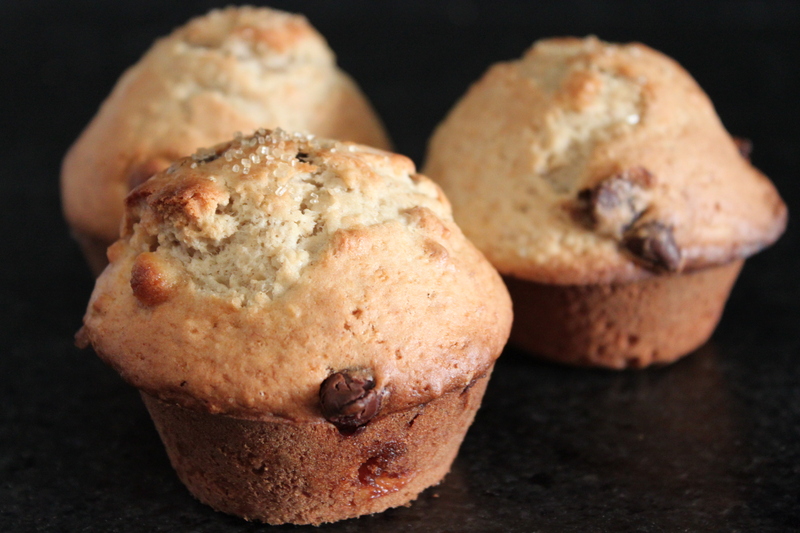 Bananas, walnuts, semi-sweet chocolate chips, and a flaky muffin dough make this morning staple a hit at the breakfast table. Preheat oven to 400 degrees F. Butter or lien your muffin baking pan. In a large bowl, mix flour, sugar, cinnamon, nutmeg and baking powder. Using a pastry blender cut in butter until mixture resembles coarse crumbs. Add the walnuts and stir. In a mixer bowl, add the bananas, milk, eggs and vanilla, and mix for a few seconds. Add the banana mixture to the flour mixture and using a spatula mix everything until flour is moistened, but don’t worry the batter will be lumpy. Spoon the muffin batter equally into the muffin cups. Place the muffins in the oven. Bake them for about 25 minutes or until golden brown.